Formed in 2013, the Parenta Trust has achieved so much in such a short space of time. Ahead of schedule, we’ve already built 2 pre-schools in Uganda with a further two being opened next month. However, these achievements wouldn’t have been possible without the funds raised by our supporters. From simple bake sales in the office, right through to more complex half marathons and triathlons (as well as our infamous yearly banger rally! ), hundreds of people have pitched in to help support our worthy cause. 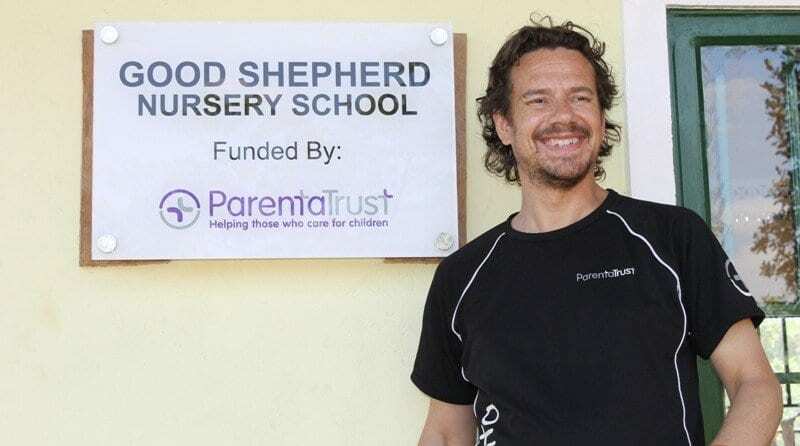 Parenta Trust pre-schools are a lifeline. Not only do they provide a basic education for children, but they take the burden off families by providing each child with 1 meal a day of either stew or oat paste. This doesn’t sound like very much, but considering most children go without eating all day (until supper) this makes a world of difference. Many children walk long distances to go to school and often, from a very young age, are expected to work on the land before and after the school day. The nurseries we’ve built in Luwero, Kabermaido (and soon, Wakiso and Kasese) ensure children in the local community don’t have to spend a large amount of their day travelling to a classroom by foot. Each school provides employment for a team of teachers and assistants. With each school being able to cater for between 140-250 children, a network of support staff is absolutely invaluable. Just as children in the UK are given equal opportunities to learn at school, Parenta Trust nurseries allow every child to have the best possible start to life. This is crucial to their development in the formative years. Children in rural Uganda often live in basic, hand-built huts without running water or electricity. Each nursery school built by the Trust has a rainwater collection system and latrines, providing a basic source of sanitation for the children to stay healthy and happy. Parenta Trust schools provide a stop-gap for children to transition from nursery to reception, with many of our pre-schools being successfully partnered with an established local primary school to enable this to happen. With many Ugandan families living below the rural poverty line (on less than 98p per day), attending school allows children to aspire to a better life. Whether it be to become a doctor or nurse, it’s the first step on the road to a better existence for themselves and their families. Here are just 7 reasons why the work of the Parenta Trust is so invaluable. And there’s so much you can do to get involved! From taking on a fun run to even becoming a sponsor to a child in Uganda – there’s something for everyone. So why not help support our vision of building 10 schools in Africa over a decade? Together, we can do it!